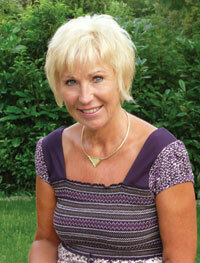 Born in a small town in Germany, Monika Levenig still lives and works there today. 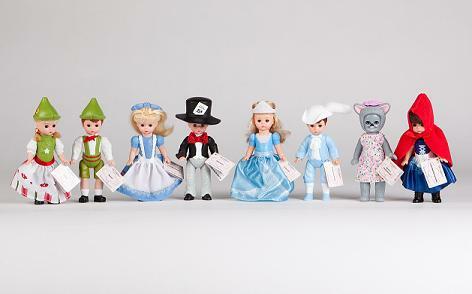 A wife, mother, and grandmother, Levenig’s dollmaking career started by accident — literally. She had been working as a freelancer in the medical field. While recovering from a skiing accident in 1994, Levenig took a dollmaking class, where her training in human anatomy came in handy. In addition to learning to sculpt dolls, Levenig also designs most of the costumes for her creations. 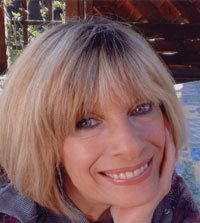 Born in Manchester, England, award-winning artist Susan Lippl has been living in Nürnberg, Germany, since 1975. 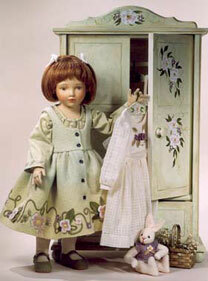 She started making dolls in 1986, and opened her shop, Susan’s Nest, in 1990. 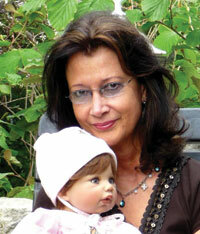 She specializes in designing dolls from photos of children and has also sculpted many fantasy figures. “I love the variety of expressions children have and try to include them in my dolls,” Lippl said. 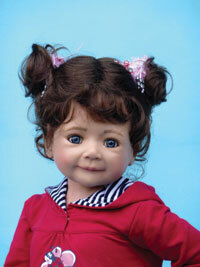 “ This year, I plan to continue making a variety of dolls in different sizes, some with smiles and some with attitudes. “I started relatively late in life with dolls, when a friend talked me into going to a dollmaking class,” Monika Peter-Leicht said. “As a teacher and mother of three children, I have always loved children and babies. Their facial expressions have always fascinated me.” Over time, she added, this hobby became her passion. 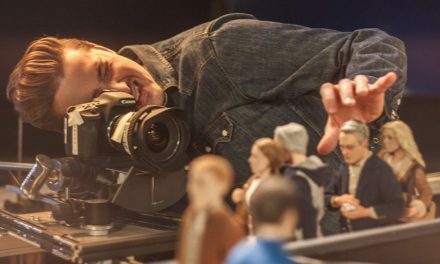 “It always is a challenge for me to have the dolls as realistic and detailed as possible because each doll has to be natural and lifelike. The knowledge that I acquired during my studies of biology and fine arts contributes to my sculpting. “I get inspiration for my work through daily connections with children. I am also inspired by illustrations in periodicals and photos, or simply by my imagination.